CV Skinlabs products use only natural, organic, and safe ingredients shown to be beneficial to the skin. Each ingredient is thoroughly researched and found to have no known links to cancer, hormone disruption, or other health risks, and no known potential to cause skin irritation, burning, itching, or allergic reaction. 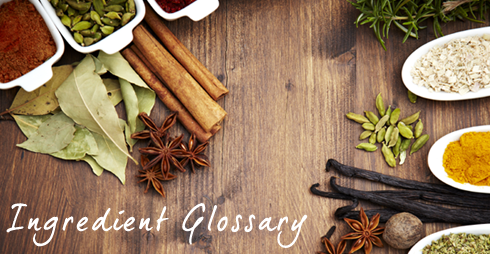 Read more about ingredient philosophy. Every CV Skinlabs formula is 100% free of: synthetic fragrances & dyes, parabens, formaldehyde, 1,4-dioxiane, hydroquinone, phthalates, mineral oil/petrolatum, silicones, propylene glycol, SLS/SLES, PEG/PPG, triclosan, disodium EDTA, hydroquinone, talc, MEA-DEA-TEA or chemical sunscreens. Read more about our Safety Mission. Succulent plant. Leaves have a high capacity for storing water. The juice from the leaf soothes the skin and helps maintain proper moisture balance. Mountain plant found in higher altitudes of central Europe. Long revered as a powerful healing plant. High in sillicic acid, oat kernel extract soothes and helps healing burns and eczema. 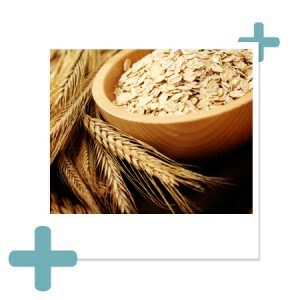 The soluble fiber found in the cell walls of oat kernels. Oat has a long history of safe use in providing fast, temporary relief of itching and pain associated with minor skin irritations. Reported to improve the appearance of smoother skin and has helped in wound healing. Obtained from the chamomile plant and known to have anti-inflammatory and skin-soothing properties. Substance that forms the structure of a honeycomb. Bees convert nectar into wax, building honeycombs to store their honey. Ten pounds of honey produces one pound of wax. Benzyl alcohol is a naturally occurring and synthetic ingredient used as a preservative. A vegetable fat obtained from the fruit of a tree native to Africa, Butyrospermum parkii. Shea butter is primarily composed of fatty acids such as stearic and oleic acids. Renowned for its anti-inflammatory and wound-healing properties. Helps to keep wounds clean and clear of pus and regulates circulation in the skin, supporting healthy skin regeneration as it reduces pain. Recognizable by its familiar orange flowers, calendula has been used for centuries as a medicinal plant. Extract of the leaves of the tea, Camellia sinensis, Theaceae. Rich in antioxidants and tannins having astringent, toning, skin-soothing, and fortifying properties. 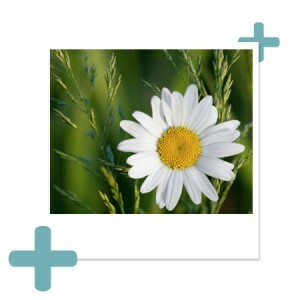 Derived from the chamomile flower, this extract provides a rich source of azulene, bisabolol and chamazulene, which account for chamomile’s antioxidant and anti-inflammatory properties. Extremely soothing and beneficial for skin damaged by acne and excessive dryness. Blemishes are minimized with the use of chamomile and skin cell degradation is slowed, diminishing the appearance of wrinkles and fine lines. A soothing emollient and thickening agent derived from coconut. Safflower oil is from the seeds of the blooming Carthamus Tinctorius, native to arid environments with seasonal rain. Safflower oil contains linoleic acid that helps to soften dry skin. It is a lubricant and acts as a protective barrier to help the skin retain moisture. Used to optimize the pH of a formulation as well as help to refine and renew skin texture. One of the most widely used acids in the cosmetic and food industries. Can be extracted from citrus fruits or sugar solutions. Extracted from the kernels of the seeds of coconut palm, Cocos nucifera. Consisting primarily of saturated fatty acids, it is unique among plant oils, demonstrating great stability against oxidation. Wax is obtained from the leaves of the carnauba palm native to Brazil. One of the hardest natural waxes. It gives the skin protection against external influences. An extract well known for its moisture-binding, soothing, and anti-inflammatory properties. Provides nourishment and a gentle softening of the skin. An extract of the rhizomes of the turmeric, Curcuma longa. Curcumin is the major bioactive compound in turmeric with antioxidant, anti-inflammatory, anti-carcinogenic, and anti-mutagenic effects. All-natural technology providing thickening and suspension properties. It has some skin hydrating properties. Candelilla wax is extracted from Euphorbia cerifera, a shrub native to Mexico. Derived from mushrooms, these extracts minimize the harmful effects on the skin from oxidation and are rich in natural vitamins A, B, B2 and C, which promote smooth, firm, radiant and younger-looking skin. A sugar alcohol. Humectant. Coveted material that is a by-product of soap making. Species of legume. Contains significant amounts of amino acids and omega-6 fatty acids. Obtained from the Glycine Soja plant; primarily consists of triglycerides of oleic, linoleic, linolenic and saturated acid. Prepared from glycerin and used as an emollient in skincare. A product of glycerin; an emollient and thickening agent. Extracted from the seeds of the sunflower and rich in oleic acids. Contains a high content of Vitamins A, D, and E. The oil also contains lecithin and unsaturated fatty acids, making it nourishing and conditioning for skin and hair. Typically used in products designed to treat dry, damaged, or mature skin and hair as an emollient. Sunflower oil provides moisture and a protective layer to the skin. 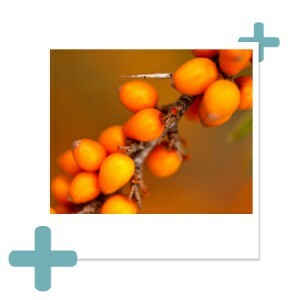 Oil extracted from the pulp of the sea buckthorn berry, which grow on spiny shrubs or trees native to the Himalayas and Siberia. 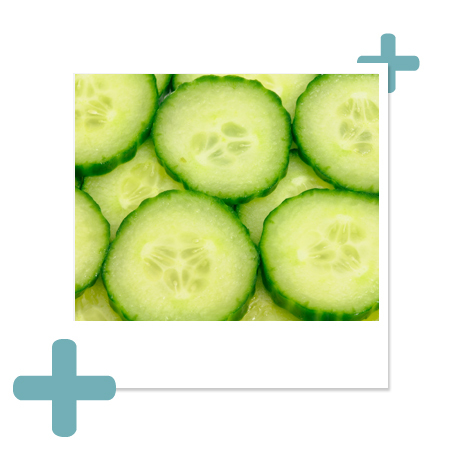 Contains a high content of nutrients essential for metabolism and regeneration of skin cells. Effective in minimizing wrinkles and other symptoms of aging skin. Natural antioxidants and essential fatty acids help reverse damaging effects of sun radiation and minimize long term effects of sun exposure, like wrinkles, dryness, and dark spots. Reduces skin inflammation, and promotes natural skin restorative processes. Well tolerated by any type of skin and provides long-term anti-inflammatory, restorative and revitalizing action. Castor oil is vegetable-based oil because it’s made from Castor plant (ricinus communis) seeds. Hydrogenated Palm Glycerides are an end product of controlled hydrogenation of Palm Oil Glycerides-the fatty acid component of palm oil. Hydrogenation allows an oily liquid to remain in a solid state in room temperature. An extract of the flowers, leaves, and stems of St. John’s wort, which grows to one-to-three feet tall and has yellow flowers. Soothing and calming to the skin. It is often used in cosmetics for skin that is extremely sensitive, irritated or allergic. Natural wool fat, also known as lanolin or wool wax. Lanolin has moisture-preserving, replenishing and emulsifying properties. 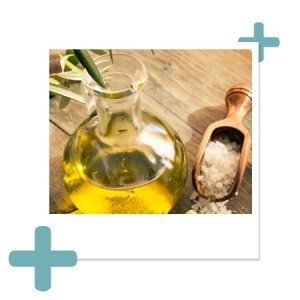 It is a natural substance very close in composition to our own sebum (oil). Though animal derived, it is humanely obtained. USP (pharmaceutical) grade ensures purity. Flower Extract is a natural source of salicylic acid that helps slow down shedding of the cells inside the follicles, preventing clogging. Also helps break down blackheads and whiteheads for a clear complexion. Maltodextrin is a polysaccharide and carbohydrate derived from rice, corn, or potato starch. Derived from the water lily, an aquatic flowering plant that grows in large ponds and lakes. Has antioxidant, soothing and anti-inflammatory properties. Obtained from the ripe fruit of the olea europaea. Contains naturally occurring squalene, a component of the hydrolipid mantle layer of the skin (protective layer). Olive oil also has an excellent fatty acid composition which provides nutrients and care for the skin. Cold-pressed from the edible nut kernels (fruit) of the almond tree, sweet almond oil is an excellent skin-softening oil. It is mild, lightweight and easily absorbed into the skin as well as rich in unsaturated fats and essential fatty acids, such as linoleic acid. It has a calming and soothing effect especially for dry, itchy skin and improves the skin’s barrier function. The oil obtained from the seeds of the castor oil plant, “Palma Christi”, enhances the moisture content of the skin and gives decorative cosmetics a soft, supple texture. The plant, Rosa Canina, is also known as Wild Rose or Dog’s Rose. Rose hip extract is high in vitamins A and C and has a toning effect on skin. Rose hip extracts are soothing and astringent and have been used to calm chapped skin. Silicic acid obtained from sand is used in powders or, on account of its viscosity regulating properties, as a thickening agent. As a natural component of connective tissue it can help tone and fortify the skin. A very stable wax derived from the fruit (seeds) of jojoba, an evergreen shrub native to American desert regions. The fruits yield 50–60% liquid wax (wax that is liquid at room temperature), and contain provitamin A and vitamin E. Jojoba oil is highly valued in cosmetics for its moisturizing and emollient (skin softening) effects. It protects the skin from dryness with a breathable, non-sticky, non-greasy film. It also smoothes and fortifies the epidermis. An amino acid extracted from wheat protein. Works with nymphaea alba flower extract (water lily) to help reduce inflammation and pigmentation. A mild amino acid based surfactant derived from natural and renewable resources. Created from coconut oil and glutamic acid, this gentle cleanser has excellent cleansing and foaming properties, is environmentally friendly and well tolerated by sensitive skin types. Lightweight emollient that is derived from olives (or in some cases wheat germ or rice bran). Hydrogenation of olive-derived squalane gives it stability and enables its use in skin care. Luxurious, non-comedogenic oil that the skin readily absorbs due to its similarity to the skin’s own sebum. Plant sugars combined with plant oil fatty acids by simple, non-toxic processes to make a biodegradable surfactant and emulsifier. It is gentle to the skin with a softening, cooling, moisturizing and anti-microbial effect. An extract of the leaves of comfrey. Ancient reputation for wound-healing. A powerful antibacterial and antifungal treatment. Relieves pain, shrinks blood vessels, stimulates blood clotting and cell growth, expedites the healing process. 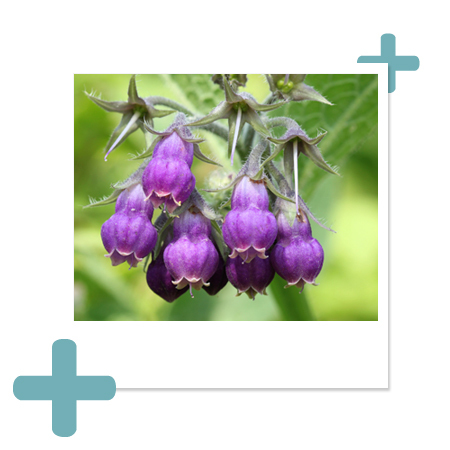 Comfrey contains protein; vitamins A, C and B, including B12; mucilaginous fiber; calcium, potassium, phosphorus, iron, magnesium, sulphur, copper, zinc, selenium, and germanium. Naturally occurring fat-soluble antioxidant that can be isolated from vegetable oil. Tribehenin is known as a glyceryl triester or glyceryl tribehenate, comprised of mixture of glycerin, a smoothing lubricant and humectant, and behenic acid, a plant-derived fatty acid and conditioner. Used as a conditioning agent. Naturally occurring glyceride of oleic acid found in fats and oils. Used as a solvent; thickener; viscosity controlling. Valeriana Officinalis Extract is an extract of the rhizomes and roots of the valerian, Valeriana officinalis, a perennial that can reach a height of four feet. Derived from the underground stem (rhizome) of the plant. Indigenous to Britain, this oil contains valerenic acid, which has sedative properties. Water is used in our formulations to achieve luxurious textures and consistency, hydrate skin and help ingredients penetrate the skin. Xanthan gum (the hydrated analog) is a polysaccharide used as a food additive and rheology modifier. Odorless powder derived from the fermentation of corn sugar. It acts as a powerful astringent to reduce the appearance of pores and control sebum production. Comes from the herb ginger, Zingiber officinale, and is known to condition skin. It is an effective antioxidant and antimicrobial agent.